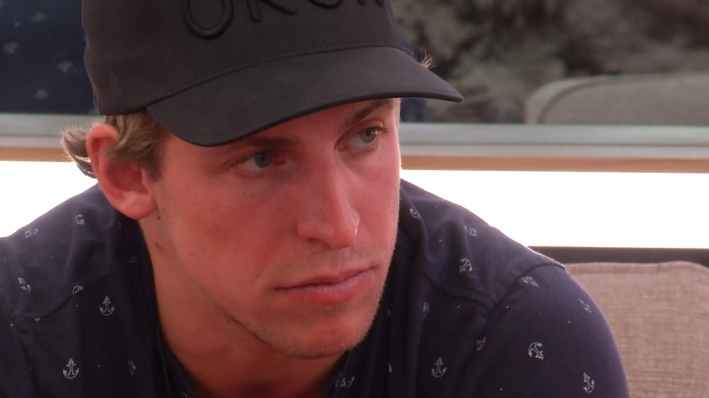 Big Brother Canada Spoilers – Chelsea will be evicted if the votes stay where they are at right now. I don’t see a flip happening at this point. 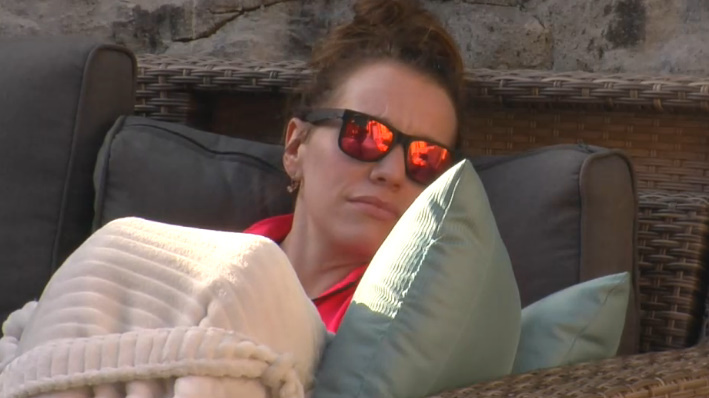 Kyra – even though I was on the block beside her i even tried to help her..
Kyra – the big reason she’s on the block I blame Adam at first I still do a little..
Kyra says she’s still being told that Chelsea is going on. Eddie says he wants to keep chelsea personally but they will have to go with the house on this one they don’t have the votes. Eddie – I won’t I promise..
Eddie – I know he’s no changing his mind I know that..
Sam – KIKI and Esti are going to vote for Chelsea to go.. Dane is close to the guys right and the guys are not voting Chelsea out. Sam says Chelsea was the target from the beginning. Eddie – nobody is going to keep me safe ..
Sam – you’re not as big of a target. KIKI talking about starting to wear a lot of black since she was 8. She wears black 90% of the time. Esti says she might take Dane. Esti – If I won HOH my target would be Sam there’s no point in me taking Sam so I would just take Adam and talk to him a little bit.. Cory already went.. Either Anthony or Adam. KIKI says it’s interesting that Mark spat out a name who he would put up. KIKI – he said only if it permits will he do a backdoor.. Otherwise he’s playing it safe with Kyra and Eddie. Chelsea – I feel like it’s going come down to you at this point. Chelsea says she doesn’t want to throw Kyra under the bus but right now it’s her or Kyra to stay and she wants to stay. Chelsea – Kyra is not going to have your back. Both your HOH’s you put Kyra on the block.. it’s been two times now they’ve had a second chance..
Chelsea – if I go Kyra will come for blood.. for revenge.. they’ve said that for me I don’t want to campaign against them I want to fight. Dane says he doesn’t want to go against Adam and Sam but it’s not his name being thrown out there so he’s not going to go against the house on it. Chelsea goes on about wanting to play in her own and pointing out that Kyra has had two chances now. Dane – I already talked to eddie and eddie brought up he wants Kyra gone so that’s one vote.. I haven’t talked to Adam or SAm yet. Chelsea – it’s going to come down to the house at this point.. a house flip. Dane says he’ll talk to her before bedtime. They agree to go off and talk to people some more. Dane – pfffff … I am lying right through my teeth..
Kyra – whats wrong ..
Kyra – it wouldn’t make any sense at all.. even if I put you up you’re not going home.. You have the numbers to stay f course. Kyra – I promise on my nieces and nephews lives that I’m not gunning for you for revenge. Kyra says if he puts them on the block a third time they’ll reevaluate. Kyra – Chelsea is my weakness.. it’s for the best she leaves.. I don’t need a weakness in this house anymore.. it’ll be good for me but it’ll be hard. Kyra is “kinda” surprised because they had talked about not lying about each other for votes. Eddie says the two leaders are Adam and Dane. He would like it for Cory to be a leader. Eddie clarifies that he would much rather they have a group that no one is the leader. Cory says sometimes the leader isn’t in control there’s someone else behind the scenes. so. all day yesterday they hyped up a house meeting. here’s a chelsea house meeting: chelsea looks in the mirror. it’s been her strongest alliance for four weeks. something that’s bothered me: week one there was an 8 person alliance. the 4 boys, plus chelsea, sam, este, kiki. why are the girls not figuring out until week 4 that the bros are still broing? btw…. stef not telling kiki about the brolliance talk with chelsea and instead going to dane. totally d**kmatized. worst alliance mate ever. she’ll end up the victoria of the season.